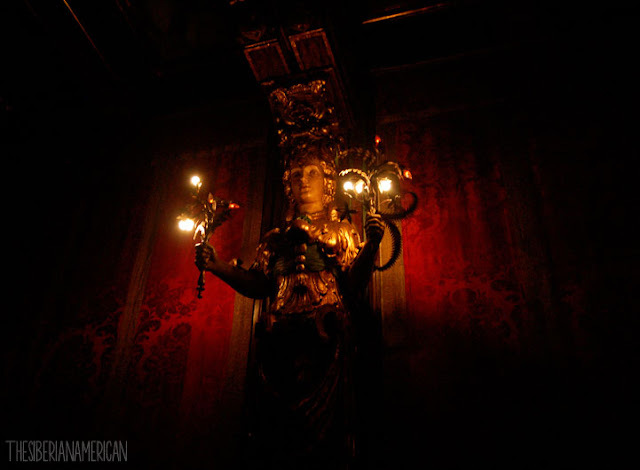 Visiting Hearst Castle was a dream come true for me. Not only do I love historic houses and stunning views, but I have been interested in William Randolph Hearst since high school after watching Citizen Kane and learning about him in my journalism classes. 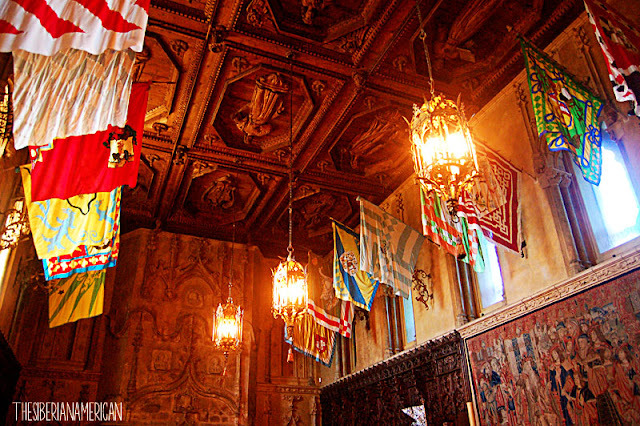 In order to take the bus up to Hearst Castle from the Visitor Center, you must purchase one of the four tours offered. Tickets can be purchased up to 56 days in advance, and reservations are recommended. We opted to take two tours of Hearst Castle: The Grand Rooms Tour and the Upstairs Suites Tour. 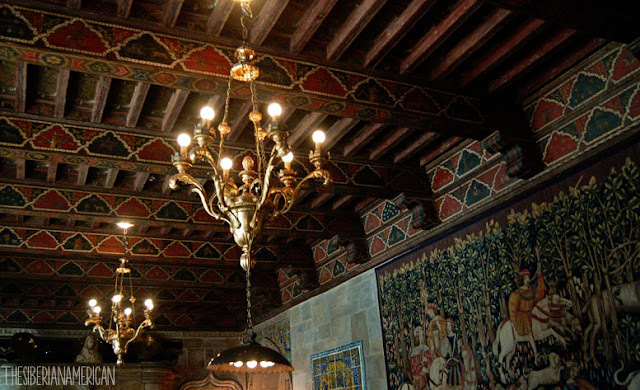 The Grand Rooms Tour is a one-hour tour of four social rooms in the Casa Grande, Hearst’s formal name for the main house. 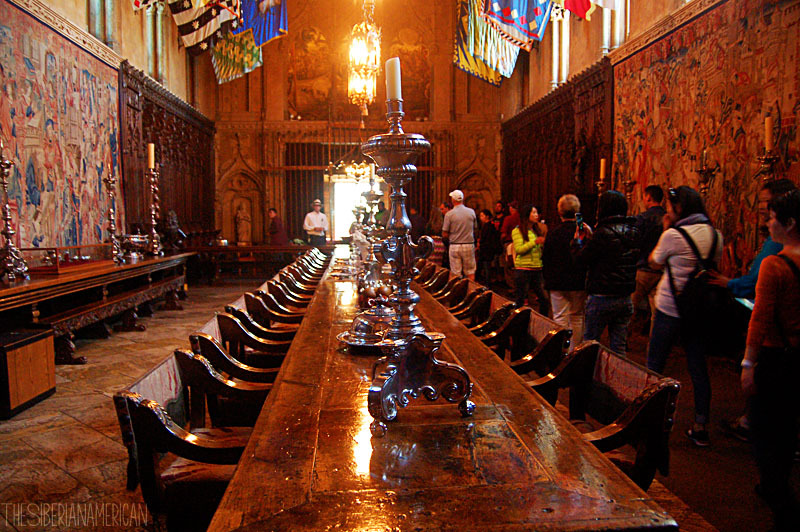 The tour guide told us about some of the famous guests who frequented Hearst Castle, and how Hearst entertained them, focusing on the Assembly Room, Refectory, Billiard Room, and Theater. Hearst Castle doesn't allow flash photography and had terrible lighting, so I tried my best to show y'all the beautiful rooms. 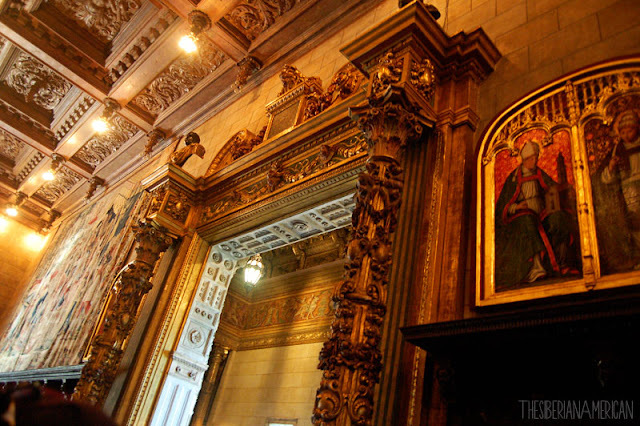 The inside of Hearst Castle was as extravagant as I expected, and I loved learning about where Hearst obtained some of the pieces from his rare collection. One of the facts that really fascinated me was that some of the ceilings were from centuries-old monasteries, which were cut up to fit the size of the room. The intricate wooden carvings were stunning to see. 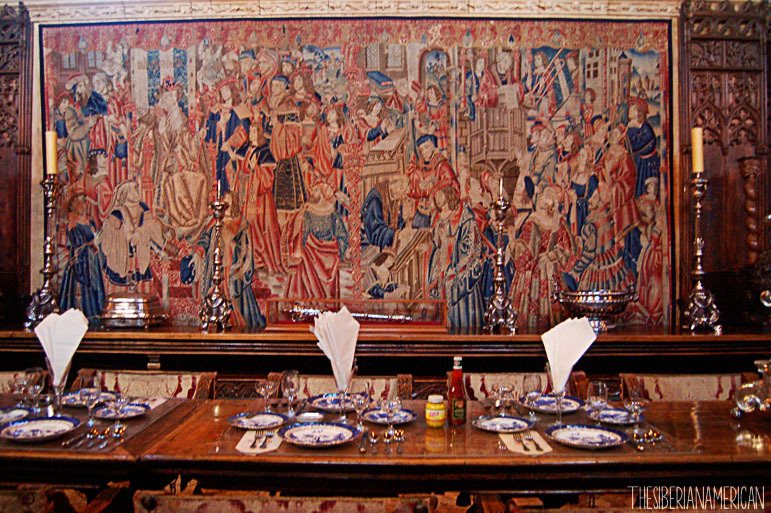 One of my favorite rooms was the refectory (the dining room), which had the feeling of something out of the Middle Ages. I loved how the room itself looked formal, but the table setting included ketchup and mustard bottles because Hearst preferred to dine informally. Something that surprised me was that the rooms did not have an overall theme. It felt like Hearst would buy whatever he liked and throw it together without worrying about what the room looked like. He definitely wasn’t a minimalist with rooms overflowing with tapestries and fascinating artifacts. Our last stop of the tour was the theater, where Hearst and his girlfriend (and Hollywood star) Marion Davies would watch a full-length movie and newsreel with their guests every night. We ended the tour by watching a short film with footage of some of the guest that visited Hearst Castle, including Charlie Chaplin, Cary Grant, and Clark Gable. 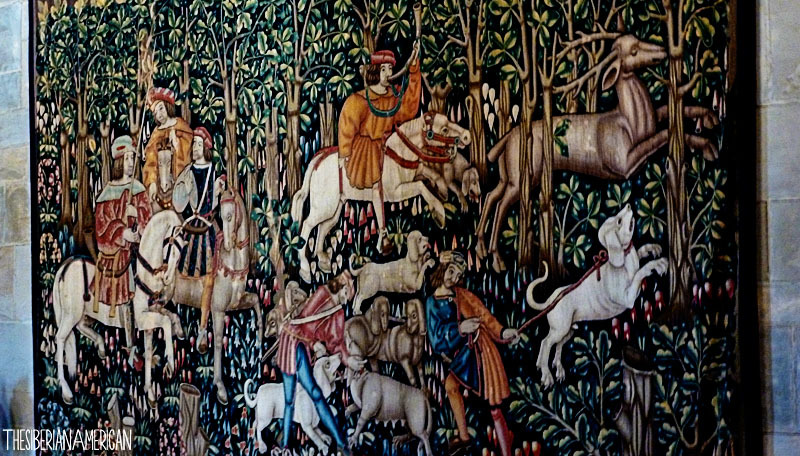 Our guide told us that even though Hearst had many guests at Hearst Castle, he rarely spent much time with them, and they were allowed to do whatever they wanted. 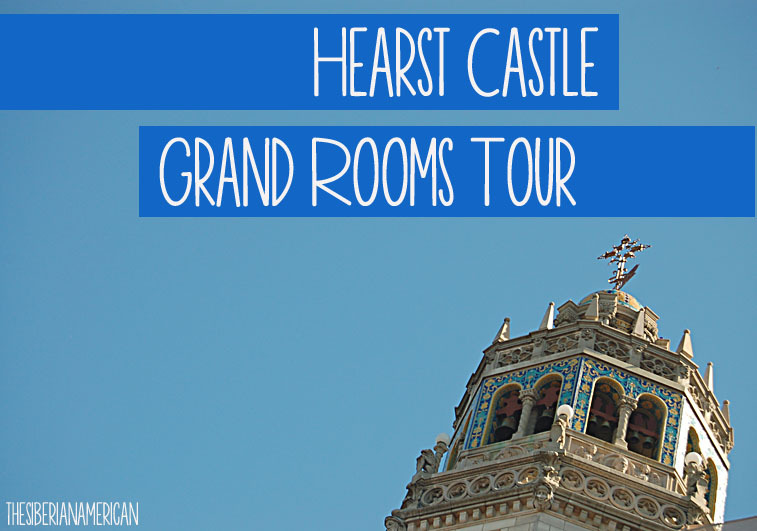 Although I really enjoyed learning what it was like to be a guest at Hearst Castle, I was a little disappointed the Grand Rooms Tour only showed us four rooms. Casa Grande has a total of 115 rooms, so it felt like we barely scratched the surface of life at Hearst Castle. Thankfully, we had also purchased the Upstairs Suites Tour (which I will feature in a future post) for a peek of where the guests slept at Hearst Castle. 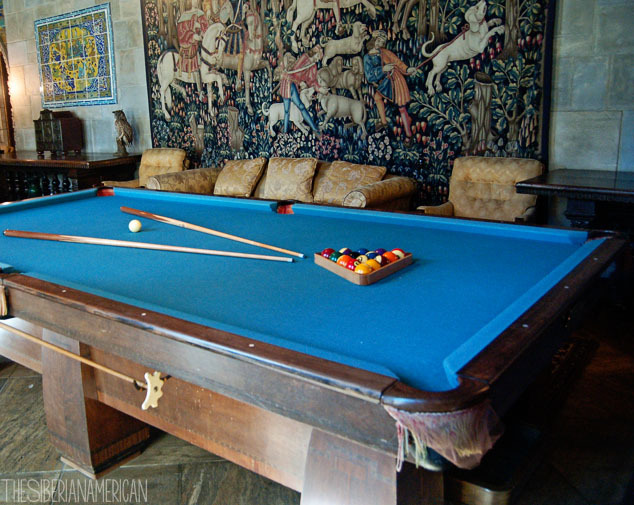 All photos in this post were taken by Olya at The Siberian American and posted with permission from Hearst Castle. Dang, this totally looks like a castle you'd expect to find in Europe! Definitely extravagant! I agree, it looks so European! Stunning! Oh my goodness, Heart Castle looks amazing!! Eric would totally love touring this! We will definitely have to go next time we are in California!! Incredibly gorgeous! I never would have guessed this was in America! How awesome that it's in America!! So gorgeous! I can't believe the opulence of the Hearst Castle! I agree with you that it looks like he threw whatever he wanted together in a room and didn't care whether or not it went together. I seriously can't believe that a place like this exists in the United States! Can't wait to hear about your other tour there! These photos are GORGEOUS!! The architecture is incredible! I would love to visit there. What a gorgeous castle!! I love visiting castles. This place is beautiful! I love the details of the buildings and architecture. That's so pretty!! And relatively close to me so perhaps I will make it there one day. I love all those amazing details. Gorgeous! The attention to detail is stunning! The details are just amazing! Can't wait to see the guest bedrooms! i would love to see this! great trip recap. 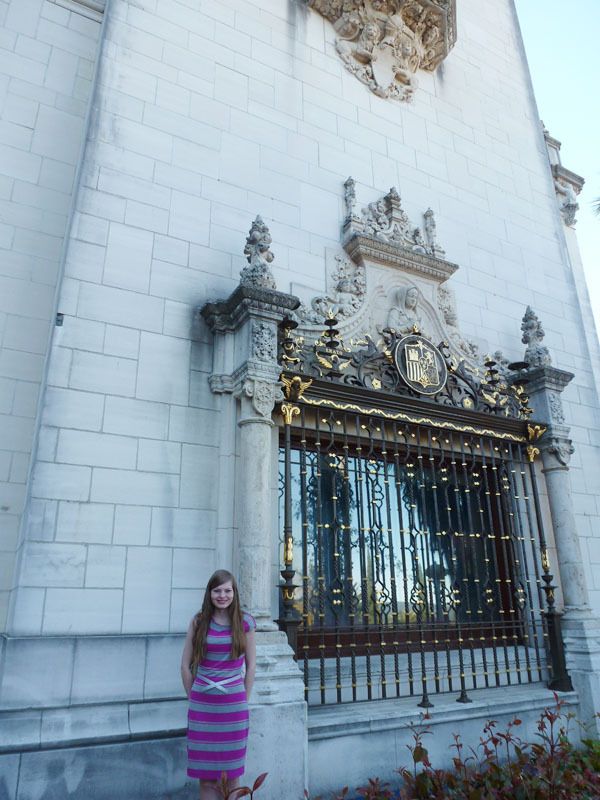 We went to Hearst Castle only after a work colleague said it was a top ranking sight on her travel bucket list... we didn't know what to expect and were completely blown away - wasn't Hearst just the most over the top person!?!? He really was! He really fascinates me, so Hearst Castle was so neat to see! 4 rooms out of 115? that's a bit of a let down for sure. but what you saw / shared really does look amazing. WOW this is amazing! I love ornate architecture I could spend all day in there. I'm often disappointed when I go visit plantations down here and they only let you see a few rooms.. I mean they don't have nearly 115 but still, most of them only let you on one floor so I feel like I'm missing out. Wow! What an incredible place! Goodness what an amazing, ornate place! 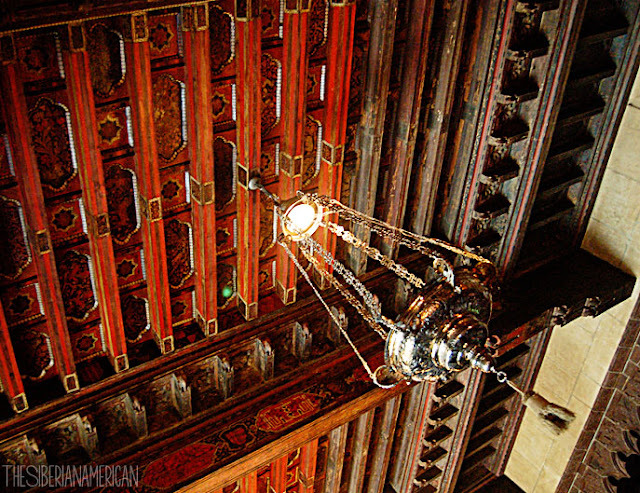 I love those ceilings... they are stunning. Thank you for joining Travel Linkup! The ceilings are my favorite part-just so stunning! 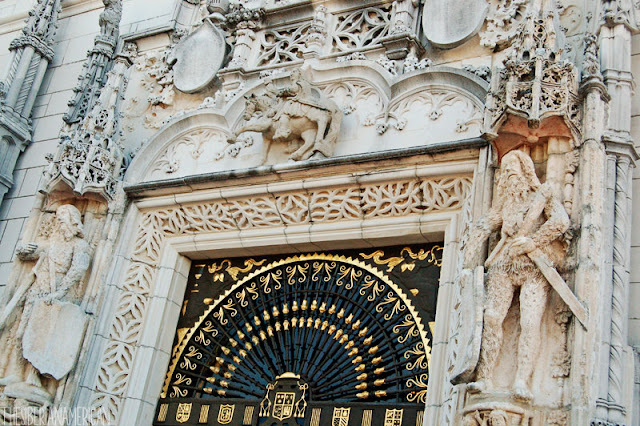 Hearst Castle is really one of California's treasures. So happy you got to visit it, especially given your interest in William Randolph. I always find matching people with their homes, especially well-known figures to be rather fascinating! Me too! It was exactly how I would imagine Hearst's house after reading about him!